It's time for the bi-annual Gilt City Warehouse Sale, taking place at the Metropolitan Pavilion, 125 W. 18th Street, on November 9th and 10th. This spectacular two-day event features Gilt's top brands for women, men, kids and home as well as one-of-a-kind Infiniti Q50s tailored by Thom Browne and Zac Posen. Shop up to 90% off retail prices, including Helmut Lang, Missoni, Vera Wang, Badgley Mischka, Carolina Herrera and Rachel Roy for women and John Varvatos, Paul Smith, and GANT for men. 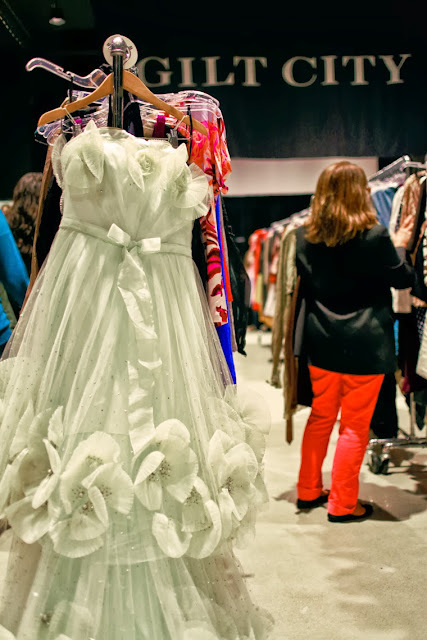 Check out my recap and shopping haul from the Gilt City Warehouse Sale May 2013. Get your tickets for the Gilt City Warehouse Sale here, before they sell out!